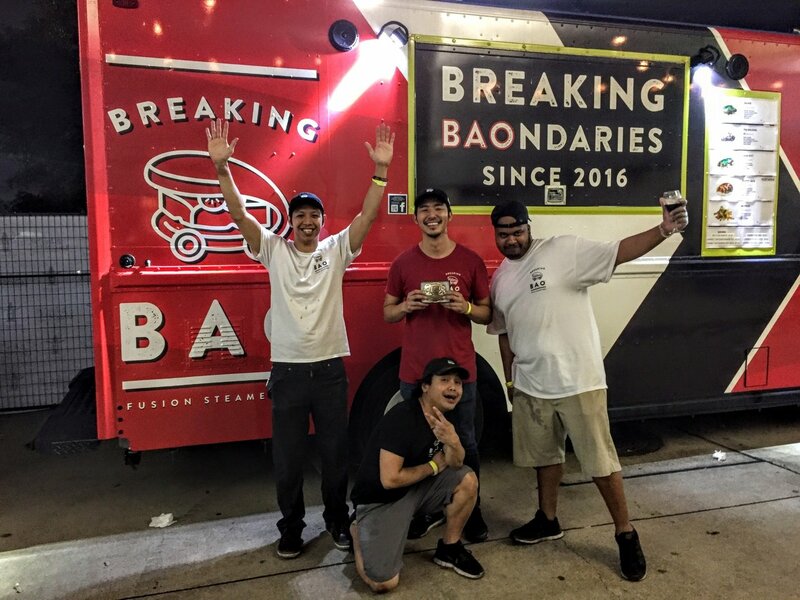 The team from Breaking Bao celebrating their first-place win in front of their food truck. Photo by Pamela Shamblin. Houstonians dusted off their hats and boots and headed to NRG Center for the annual Houston Livestock Show and Rodeo Uncorked! Roundup and Best Bites Competition on Sunday night. Every year, it’s the first big public event that truly marks rodeo season getting into high gear in Houston. Chefs and their teams from 104 restaurants offered up their best appetizers, entrées and desserts for the sold-out event. In addition to chowing down on those, guests could also taste their fill of 250 wines that still only represented a tiny part of the November’s Rodeo Uncorked! International Wine Competition. That event, held at the end of last year, drew a record-breaking 3,188 wine entries from 18 countries. Hundreds of Rodeo Uncorked! volunteers poured wines throughout the evening, which featured an uptick in participation from Texas wineries, and a spotlight on the competition’s featured region this year, northern Spain. 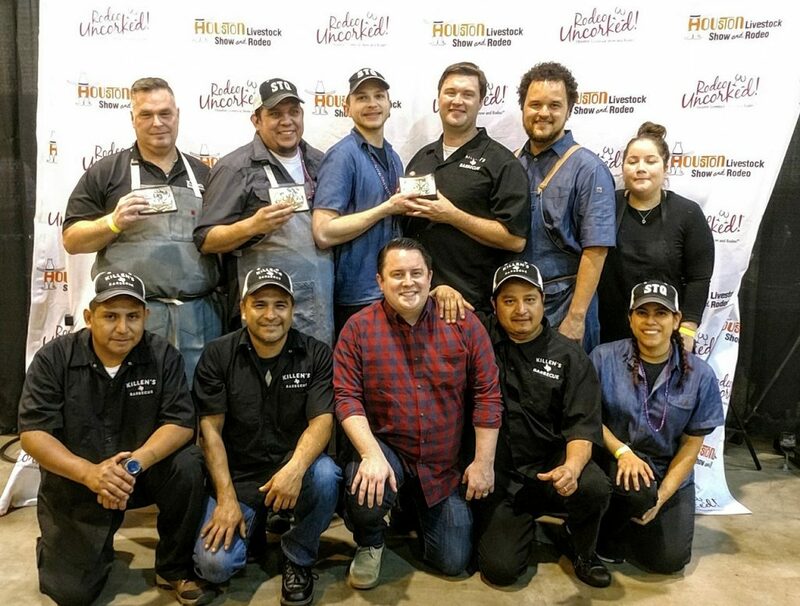 Teams from both Killen’s Barbecue and Killen’s STQ took home a combined three awards in the annual Rodeo Uncorked! Roundup and Best Bites Competition. Photo by Pamela Shamblin. Houston favorite Ronnie Killen and his teams at both Killen’s Barbecue and Killen’s STQ took home three awards: first place in the Lone Star Entrée category for their barbecued beef rib (which also won the People’s Choice Award) and first place in the Two Steppin’ Dessert category for Killen’s STQ’s bread pudding. Gourmet pop maker Popfancy took home three awards as well, winning the 2018 Rookie buckle, as well as placing second in the Showmanship category. 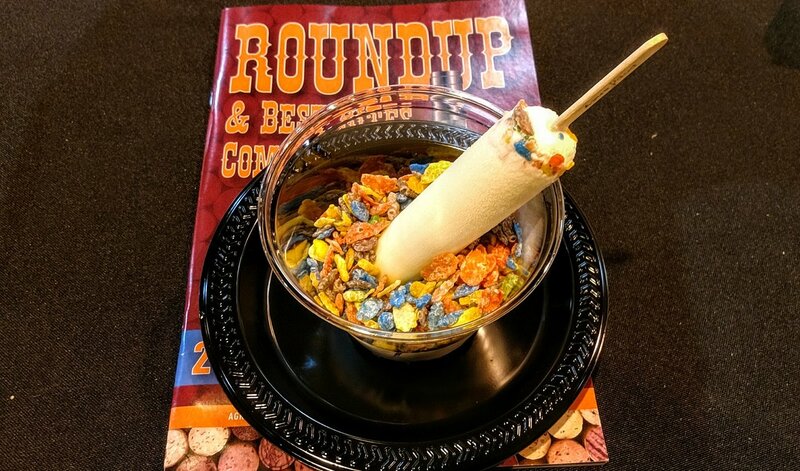 The newcomers to the competition also earned second place in the Two Steppin’ Dessert category for the Cereal Milk Pop, an ice cream pop rolled in Post Fruity Pebbles. Popfancy’s Cereal Milk Pop took home second place in the Two Steppin’ Dessert category, and the eatery won two other awards. Photo by Holly Beretto. Attendees clearly agreed; lines around Popfancy’s nostalgically decorated booth were long throughout the evening. With locations in the Galleria, Memorial City and Woodlands malls, Doan says the outfit makes its fancy pops in-house. Flavor ideas are inspired by everything from Vietnamese coffee to Mexican flavors. “We try to show the diversity of our city in our pops,” he says. This year, Best Bites added the Trail Boss Food Truck category as well. The top honor went to Breaking Bao for the Hot Jam Bao. Winners all receive a Texas-sized buckle to display and, of course, bragging rights. The Houston Livestock Show and Rodeo officially opens February 27.